The last days of the year allowed for a fantastic opportunity: to return to the beautiful city of Tirana, and to talk at the Një Mendësi Tjëter conference, on a panel discussing, youth, culture and activism with some of my favorite people. Alec Dudson expanded of the publication he founded and helms from Manchester – Intern magazine –, which was born out of his experiences in the publishing world, among which his period as my intern in Milan. 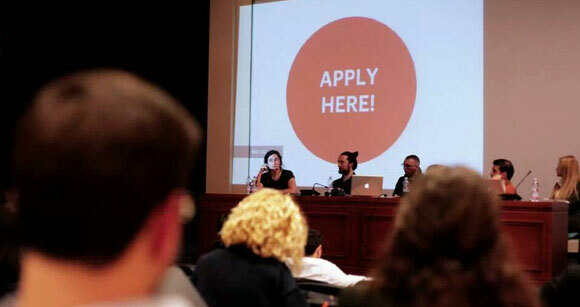 Merve Yucel spoke about the role of youth in established cultural institutions, namely IKSV, the foundation that promotes the Istanbul Design Biennial, and where she works as a production manager. Elian Stefa spoke about transforming grad school assignments into real-world platforms, with the excellent Concrete Mushrooms initiative. For my part, I spoke chiefly about Things the Internet has taught me, largely derived from my experience at Domusweb. I expanded on the many ways in which the internet can serve those who struggle to affirm themselves as young creatives, and how communication and promotion are fundamental skills for a creative professional in our day and age. It was a pleasure to be back in Tirana, and to learn so much from all the conference speakers!